We are very happy to express this warm feeling that we have tried to change the life of Poor & deprived children those who are not having the money and strength to achieve their dreams. SEWS initiative to change the life of that kind of poor children by making the network with the other organization those can provide the support to full fill their dream. In this regard SEWS made the co-ordination with “Rai Foundation- Changing Hearts & Mindset 126 miles stone Delhi- Jaipur NH-8 , Behror, Rajasthan 301020.” which is a great supporter to provide MBA education free of cost under the banner of “Genius Girl Child Scheme”. In which they bear the whole cost of MBA study with the tuition fee of that course and the fooding & lodging of the student. To participate in “Genius Girl Child Scheme” Ngo has to search the capable poor child especially Girls those who are having the intellectual knowledge and dream to go for higher Study. With the assistance of Rai Foundation local Ngo has to make a case study of that poor girl who filled the entire requirement for selection criteria. After the case study process NGO has to sent all the information related to the candidate to the Rai Foundation office, Rai foundation match the criteria for the same and invite candidate to their head office with the support of Local Ngo and they took interview to the child and they used to take general test of Intelligence and candidate confidence of joining the “Genius Girl Child Scheme” along with the familiarity with English speaking and computer knowledge , if candidate fulfill the selection criteria. They call the student to join the “Genius Girl Child Scheme” by mail to support organization or to the candidate’s address. Sarvodaya Educational & Welfare Society (SEWS) has sent a poor girl for the “Genius Girl Child Scheme” to Rai foundation where that girl is studying the MBA course free of cost which has calculated 4.10 Lacs if a normal girl want to do that course. 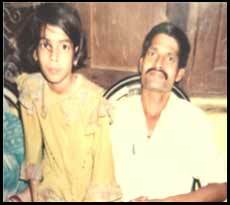 Surbhi Gupta, a girl having three filial, two small brother and Poor parents living the nearby the SEWS office. 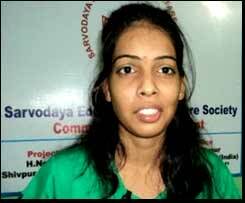 Nurturing a Dream in her heart to do MBA course but due to lack of money, she was not able to achieve that dream. She did her Graduation with big struggle. 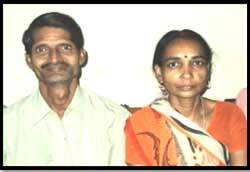 She used to do tuition classes for earning some money to support her family. SEWS was already in the search of a “Genius Girl Child Scheme” after a long search SEWS found all the quality in Surbhi Gupta, SEWS Team contacted to her parents for “Genius Girl Child Scheme” and took Ngo level interview of Surbhi Gupta along with her parents if they are ready to sent their daughter for the Scheme or not? In their counseling time her Parents were not ready to send their daughter for that course but when SEWS Team provided the full information regarding “Genius Girl Child Scheme” and bright future prospective of her daughter, they got ready to send their daughter for application. Now with Motivation and the effort of Sarvodaya Educational & Welfare Society (SEWS), Surbhi Gupta is doing her MBA course with the support of Rai foundation. 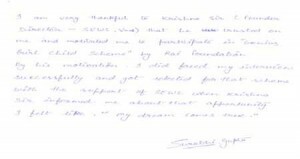 Statement of Surbhi Gupta: “I am very thankful to Krishna Sir (Secretary –SEWS, Vns.) 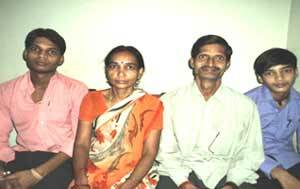 that he trusted on me and motivated me to participate in “Genius Girl Child Scheme” by Rai Foundation. By his motivation I did faced my interview successfully and got selected for that scheme with the support of SEWS. When Krishna Sir informed me about that opportunity I felt like, “My dream comes true”. Statement of Surbhi’s Parents: “Sarvodaya Educational & Welfare Society has given a golden opportunity to our child and sent her to achieving her dream. We will never forget the support that we got from SEWS. We both appreciate the support and work of SEWS from bottom of our heart.